Caltron has released the HBT-0842O, 8.4” Open Frame High Bright LED Backlit Monitor to their line of open frame high bright monitors. The HBT-0842O has the option of adding on addition ports to satisfy special project needs and can also have a touch application integrated, whether it is a resistive or surface acoustic wave touch panel. 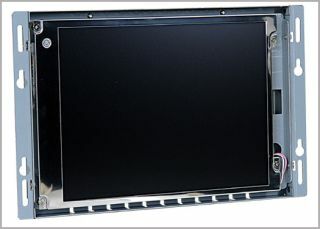 HBT-0842O, 8.4" Open Frame High Bright LED MonitorCaltron’s high bright open frame monitors are designed for many applications. Rated at 1,000 nits or cd/m2, Caltron’s HBT-0842O can be used for photo booths, outdoor ticketing machines, Kiosks, instrumentation controls and any place that has high ambient lighting that requires a monitor that is bright enough to still have a display capable of showing high quality content. This unit is useful for signage applications that are located outdoors or in areas with a lot of bright lights.